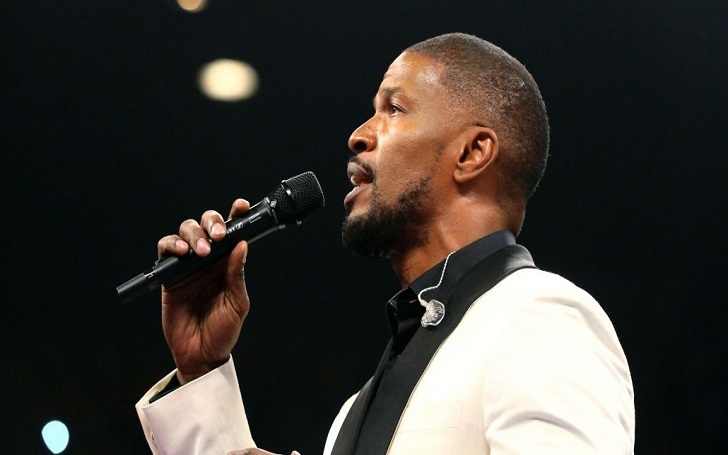 Jamie Foxx will be hosting the 2018 BET Awards. The Beat Shazam host will take the stage at the Microsoft Theater in Los Angeles and host the award show after one month on June 24. This will not the first time that the 50-year-old's will appear as emcee of the event; he had also hosted the 2009's BET Awards. This comes days after the 2018 BET Awards nominations were revealed. Kendrick Lamar and DJ Khaled are among the top nominees for the upcoming award show, with the 30-year-old rapper five nods and 42-year-old R&B singer receiving six. Chadwick Boseman, Bruno Mars, Michael B. Jordan, Drake, Cardi B, Jay-Z, and Beyoncé also scoring nods. Last year's BET Award was hosted by Saturday Night Live star Leslie Jones. At the time, Chance the Rapper was the winner of Best New Artist while Beyoncé won the Album of the Year for Lemonade. You can watch the BET Awards 2018 live on Sunday, June 24 at 8 p.m. ET.